Wild Rose Presbyterian Church, 501 Jackson, Wild Rose, WI which recently celebrated its 100 year anniversary, holds a traditional Welsh hymn singing and tea each year. 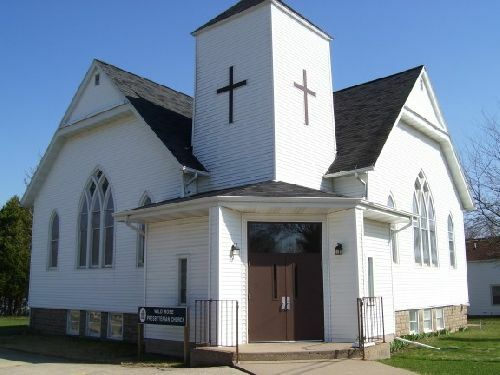 The Wild Rose Presbyterian Church, 501 Jackson Street, Wild Rose will hold a Welsh/ English Hymn Sing on Sunday, September 20, 2015 at 2:30 p.m. with the traditional Te Bach (a little tea) to follow. All are welcome! Church is air-conditioned, but not barrier-free. If you enjoy praising the Lord in song, you are welcome to join in. 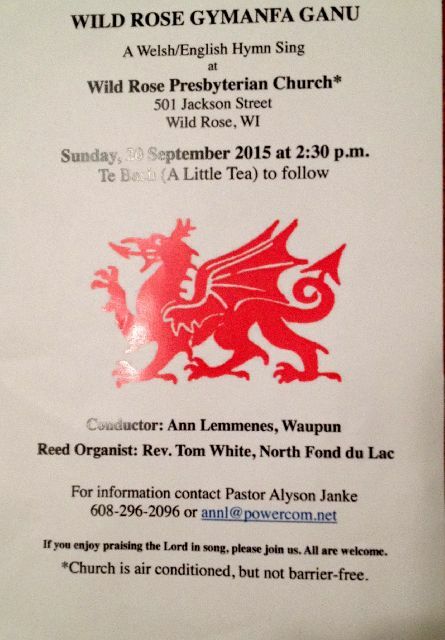 The Conductor for this celebration is Ann Lemmenes of Waupun with Reed Organist is Rev. Tom White of North Fon du Lac. For more information contact Pastor Alyson Janke, (608) 296-2096.